In 1910 West Duluth realtor J. J. Frey opened the Hotel Grand (often referred to as the Grand Hotel; it is labeled with both names in the top photo). 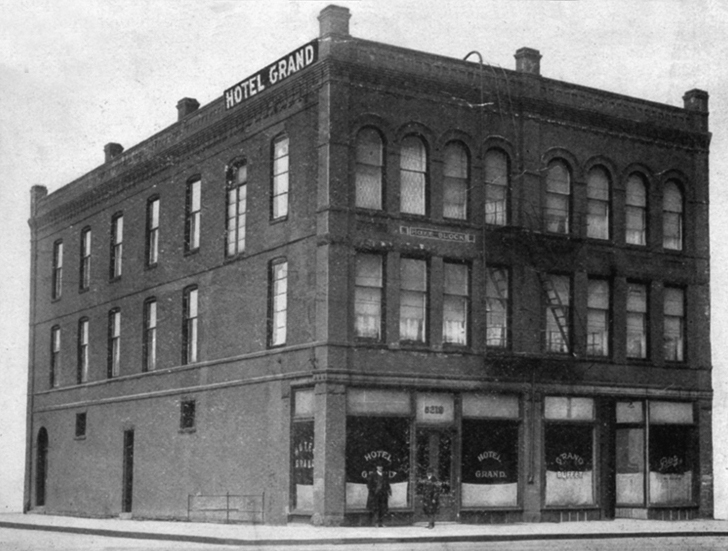 The Grand, which stood at 5219 Ramsey Street, offered forty guest rooms in what was then the largest commercial structure in West Duluth: three stories tall. 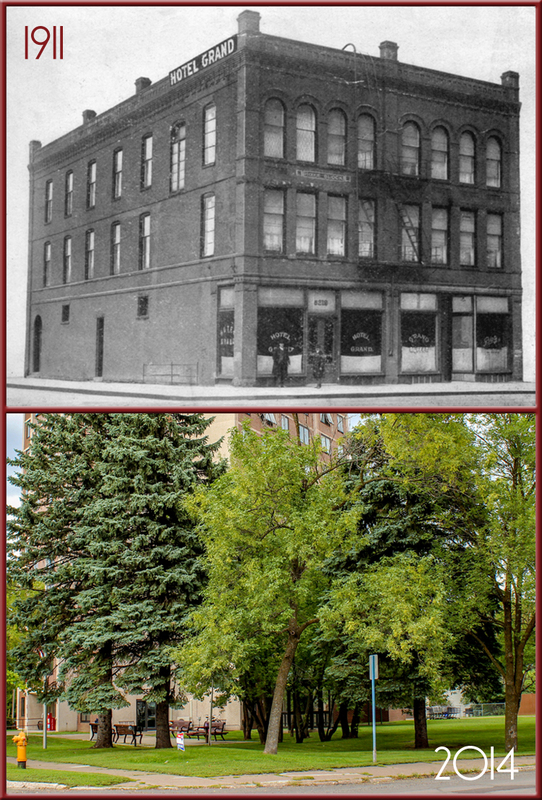 It was called the Hoyt Block briefly, from 1915 to 1916, and in 1950 its name changed to the Ramsey Hotel. The Ramsey closed its doors just four years later; the building stood empty until it was razed in the late 1960s. Its lot is currently vacant.